Smoothest Riding. Most Versatile. 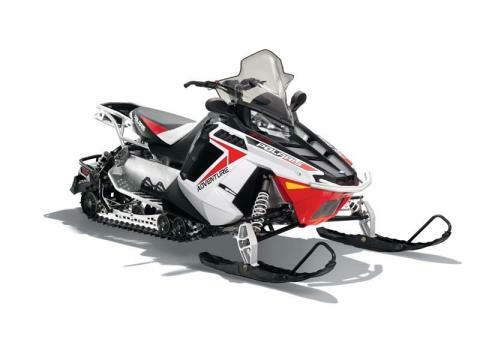 When other sleds turn back, the Switchback® gives riders confidence to go off-trail as well. 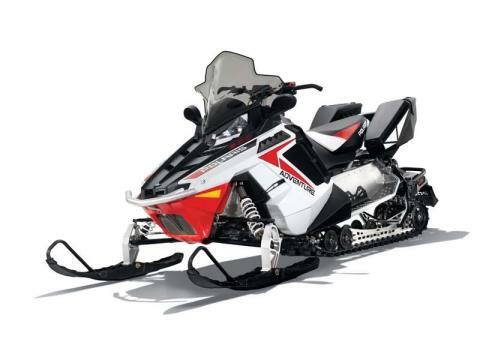 The 136-inch track and longer tunnel and rail provide off-trail performance and added versatility. It’s the ultimate blend of corner carving performance and off-trail performance. Eliminate “spine tinglers” with the industry’s only uncoupled, progressive-rate suspension. 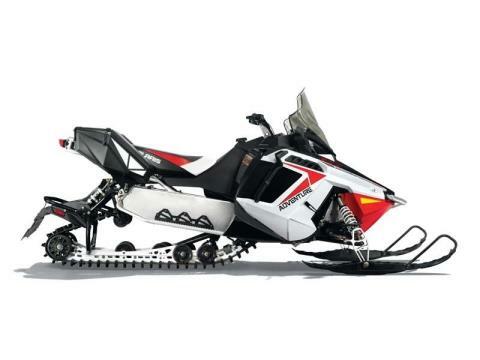 This Polaris-exclusive design provides a bottomless ride with incredible weight transfer and unmatched fun factor. The 136 in. rail provides superior off-trail capability compared to competitive crossovers and bridges the bumps for a more comfortable ride. This liquid-cooled Cleanfire® engine with semi-direct injection (SDI) deliver outstanding throttle response and instant acceleration. These powerful, efficient engines produce the impressive power-to-weight ratios that performance riders demand. Cleanfire® engines start easily and reliably and they calibrate automatically as the temperature and elevation change. These engines deliver impressive fuel economy in real-world riding situations, which, for Polaris riders, means aggressive, up-tempo riding, not low-rev lab conditions. Accessorize in seconds, the fastest in the industry with the Lock & Ride® Saddlebags. These can be removed without tools and feature removable dry bags with handles. Designed for aggressive trail traction and control, the Cobra track provides an unprecedented combination of trail and deep snow performance. Start your sled with the turn of the key. Nothing beats the ease and convenience of electric start. Lightweight, aluminum front bumper features extra protection for wherever your Adventure takes you. Power where you need it. Pre-configured for easy installation of your electric shield or GPS. Wide-angle view for good visibility, non-fogging glass. Folding design for use with covers. Integrated tunnel protection allows you to stud up to a 1.75 in. track. The one-piece handlebar features clean, durable construction. It enhances ergonomics with full-length grips that improve comfort and control, and the heater elements extend to the ends of the bar for greater hand comfort. Take the best seat in the house. A wider more comfortable seat that provides an ideal blend of cushion and support. The Switchback seat height also allows the rider to easily transition from seated to standing as the conditions dictate. World’s most advanced snowmobile chassis - light, rigid and perfectly balanced for precise handling even in the nastiest terrain. The progressive-rate suspension provides a bottomless ride that allows us to run an uncoupled rail with great weight transfer for a more comfortable and fun ride. The Cobra track allows for unprecedented flotation and traction. The Pro-Steer™ ski features a reshaped keel and shortened skag for reduced steering effort. Redesigned ribs atop the ski increase torsional stiffness for more precise steering, and bosses added atop the ribs provide traction to prevent slipping when a rider steps on the ski in deep snow. Cleanfire® engines with semi-direct injection (SDI) deliver outstanding throttle response and instant acceleration. These engines also deliver impressive fuel economy in real-world riding situations, which for Polaris riders, means aggressive, up-tempo riding, not low-rpm lab conditions. A throttle block and a separate kill switch perch can be positioned independently for improved ergos and ability to tailor your controls. Less wind = a warmer ride. Designed for excellent coverage, this tall smoked windshield directs wind and snow up and around the rider while the side panel-mounted wind deflectors force wind and snow outward, away from the rider.